The eagerly awaited next installment of the epic resident evil franchise is almost upon us. The storyline in any Resident Evil game has been one of the major key focal point, so what can we expect from the story line in Resident Evil 7? You play as Ethan, a civilian who is searching for his missing wife Mia. His search leads him to a derelict plantation mansion situated in the town of Dulvey Louisiana. Not all is as it seems as this dilapidated manor is actually home to the psychopathic Baker family. Ethan is led to believe that the Baker family have abducted Mia and it is up to him to save her and get them both out of the house alive. What could happen in the Resident Evil 7 story? There are a couple of elements to the Beginning Hour demo (which you can currently download on PS4) that could hint at potential plot lines in Resident Evil 7. In the Demo you play as an unnamed protagonist who is exploring a dilapidated mansion. We have collected some of the theories about the demo which hint to the Resident evil 7’s story that are currently making their round on the internet. You find this object in a small cabinet at the bottom of the stairs and it’s use isn’t clear at all when you play the demo. What is really strange is that gamers who were signed up to the ambassador program for Resident Evil 7 have since been sent an email which confirms that the dummy finger will be relevant at a later date. The image below which featured in the email has the dummy finger pointing to a statement which reads “The Path for now is closed, but patience…” Gamers are taking this as a sign that another Resident Evil 7 demo maybe coming which the dummy finger may have a use in. At one point in the demo you find a VHS cassette tape, if you pop the tape in the VCR in the living room you will then be transported into a found footage segment where you will follow the story of three men approaching the same house. During this segment of the demo there is a chance you will come across a young woman in one of 7 different locations. We still have no idea as to who she is or where she came from but this does give us some indication that there will be some paranormal.occult references in Resident Evil 7. When you get to the attic in the demo you will come across a photo of a helicopter with what looks like the umbrella corporation logo painted on it’s side. The back of the photo has a message which states “Are they watching us from the helicopter?” Even though this doesn’t tell us a great deal it confirms that Umbrella should be making some sort of appearance in Resident Evil 7. There are several Resident Evil 7 Story theories going around at the moment. Here is a list of just some of them. 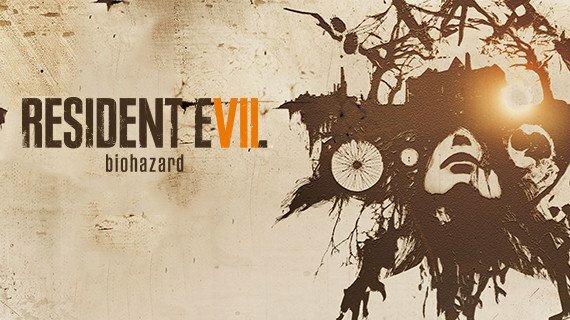 Throughout the Beginning Hour demo and the Resident Evil 7 promotional material ‘The Family’ has been referenced quite a lot. This could be referring to The Baker family, the twisted individuals who are currently holding up residence in the dilapidated Louisiana mansion. However, in the previous Resident Evil games The Family were a centuries old secret fraternity who were heavily involved in the work of Bioterrorism, so the references of The Family could relate to The organisation as opposed to just The Baker Family. The first ever Resident Evil game took some inspiration from a famicom game called Sweet Home. The Beginning Hour demo has a VCR segment that features a three man film crew who are sent to investigate the Louisiana mansion. This is very similar to Sweet Home’s storyline which features a documentary crew who are sent to look for paintings of a famous artist, which then leads them to a vengeful spirit who keeps the protagonists captive in her home. Sweet Home’s story was focussed on a family which had physically been torn apart by the mother, who lost her son in a house fire. She murdered her other children so that her deceased son had some friends to play with in the afterlife. The Beginning Hour demo does draw a fair few parallels to Sweet Home’s storyline. In the VCR segment, once you have entered the house one of the film crew states how the house was abandoned after the family who owned it went missing after some sort of foul play. SO as you can see there is definitely some similarities here. Even though we don’t know much about Resident Evil 7’s story so far, the theories people have been coming up with have been pretty in depth. For all things Resident Evil 7 stay tuned to Green Man Gaming.